Dear friends, I have heard the unthinkable. My dear friend Iris has just had one of her fandoms cruelly destroyed. But before you decry Hollywood, my brothers and sisters in the writing and critiquing world, let me tell you… this is worse. Far worse. Her fandom was destroyed by none other than the author who began it. Iris is a longtime fan of the Percy Jackson novels, which, as a side note, I myself have never read. So you can consider this blog post my response on a friend’s behalf. 😉 She started young, I believe. She’s been following the author’s work for years now. And then, she has it ripped out from under her feet. What am I talking about? Why, the decision to make one character homosexual! Now, just so that you know, I am a faithful, practicing Roman Catholic. I subscribe to all Church teachings. And as such, I believe that homosexuality is wrong. Do not give me arguments in the comments, please. You will not change my mind. (I’m like my namesake. I would die for what I believe in, and I plan on living for it as well.) And if you do start to try to change my mind, I will do worse than just delete your comment. But, let that aside, I think that this choice of Rick Riordan’s is a terrible mistake, and let me tell you why. This is a children’s book. Please leave the kids out of politics, darling. And don’t indoctrinate them, either. And I don’t care what you may say, this is, in my opinion, indoctrination of the most insidious kind. According to C.S. Lewis, “If a man writes a book about Buddhism, we will not be swayed to his beliefs. It is the Buddhist assumptions in all the other books that will make us change our minds.” The same applies to homosexuality in children’s literature. I would classify homosexuality, lesbianism, gay rights, what have you as an adult theme. This bumps up the rating from PG to R. Please, let the adults squabble over this; let the children maintain their precious innocence for just a little longer! Do it for the little ones’ sake! Kids do have rights, according to the United Nations. So please, respect those rights. Readers don’t like a plot error. Seriously. It’s true. They won’t read a book when it turns to putrid… disgustingness in their hands. Look how many people have jumped off the bandwagon already! And I believe this does classify as a plot error. Seriously. It’s like a deus ex machina— Rick Riordan has been building this character up for one destiny and then suddenly switches it. *head keyboard* I mean, HONESTLY?! This makes me sick. So, that’s my little rant of the day. I hope you liked it, ’cause if you didn’t, then why did you read all the way to the end?! ;-P See #3. Hey, everyone! It’s two days till November, so I thought I’d go on and tell you all what I’m up to. I’m a proud participant of National Novel Writing Month! Obi-Wan rummaged in the closet. Tossing his slave tunic aside, he picked up the shirt that Padme had just bought for him at the market. It was a somewhat rough material, an oddly bright shade of vibrant electric blue. Obi-Wan snorted softly. It was her idea of a joke, a subtle probe. Sort of. Of course, subtle was far more up his alley than hers. He preferred more muted cool colors, something Padme had obviously somehow picked up on, and this tone of blue didn’t qualify. It was, of all things, most definitely not subtle. Obi-Wan sighed. He was going to stand out like a bantha in a snowstorm. Obi-Wan struggled as the man’s hand came down again. He gave vent to a cry of pain as the needles pricked his face, again. A none-too-gentle hand rubbed the pigment across the lacerations and Obi-Wan kicked out as hard as he could. He didn’t understand what was going on, any of it. How could he? He was only four. “Blasted nuisance!” one of the men howled, clutching his midsection. “Hold him down tighter, you idiots!” The man leaned in close, Obi-Wan froze. “You know what they’re doing, don’t you?” Trembling, Obi-Wan shook his head. Mother! Where was his mother? Oh, that was right… he had seen her die last year. He was lost, alone. “This is your identification,” the man snarled, his lips curving back in a nasty grin. “You’ll never be able to escape, you little runt. Anyone who sees you will see these marks and bring you back. That’s what it is. It’s your badge of shame.” Obi-Wan bit his lip to keep from crying out. The nasty-smelling blue pigment burned. It hurt like nothing else could. Obi-Wan struggled as the man with the needles came forward again. He wasn’t sure how much more of this he could take. The grayness at the edges of his vision deepened, swallowed him up. Everything went black. Obi-Wan sprang up. He was lying on a cot somewhere, he wasn’t sure where. The agony was gone, but it left behind a terrible numbness. Obi-Wan rushed across the room to the mirror. He stared at his reflection, appalled. It was the face of a stranger looking back at him. The right side of his face looked normal, but the left was adorned with sinuous, twisting tattoos. Obi-Wan stared, tears running down his cheeks. He felt wrong, violated. He gripped the small pendant on the necklace that was the only thing he had left of his mother. She was gone, for good. He was completely and truly alone. Obi-Wan jolted back to reality to find himself still looking into the mirror. But it wasn’t his reflection he was looking at—it was Siri’s. She stood behind him, in the doorway, mouth wide with horror. Obi-Wan spun around to face her, instinctively drawing the cloak across his body, but it was too late. She had already seen the scars. Obi-Wan froze, uncertain of what to do next. His breath was already coming with a shudder to it. A hot flush flickered across his face. He couldn’t breathe properly, his heart was racing; it was the horrible second he knew that he was about to lose control, have a panic attack… or worse. Siri stepped forward, eyes still bright with horror. Obi-Wan felt as if he was about to pass out. A long beat in the room and the tension was growing all the time. Obi-Wan closed his eyes briefly. Get a grip, Kenobi! he mentally snapped at himself. He opened his eyes, refocused. “You weren’t supposed to see that,” he said, voice almost steady. He turned away and was about to pull the shirt on when a gentle, soft hand on his back stopped him. Obi-Wan froze again, stomach twisting. Why couldn’t she let well enough alone? Couldn’t she see he was about to be sick as it was? Muscles tightened, his whole body stiffening, he could feel the blood draining away from his face. He was going to have another flashback, a panic attack, faint, do something completely ridiculous, he just knew it. “Show me,” Siri requested softly. It was as if someone else was in control of Obi-Wan’s actions. His mind still screaming out in protest, he slowly dropped the cloak away… and hit the floor. Hard. Obi-Wan leaned back against the bed, his shoulders heaving, struggling to control his breathing. In. Out. The situation was completely beyond his control, and that hit Obi-Wan hard. Why am I so upset? he thought. I shouldn’t be this upset… Is it because I’m so controlling? Why do I have this need to be in control? Why does it have to be like this? It was the biggest difference between him and his master. Qui-Gon could go with the flow; Obi-Wan needed to know something about the mission beforehand, to plan, to think. It was the divide between the Living and Unifying Force; Qui-Gon could live with things as they were, whereas Obi-Wan needed to learn to let go… He mentally rolled his eyes with the irony. Even though Qui-Gon seemed to believe that it was the least likely thing possible, Obi-Wan was very much the same as many Sith, at least as far as mechanics went. However, when morals were added to the equation, he went far beyond them. Siri’s hands ghosted over the scars, both older and more recent. She seemed shocked that anyone could do that to another living person. “That’s what the Sith are,” he replied to her unspoken thought. Siri’s hand paused on a singular scar, dark, slightly ridged. “It’s a burn,” he said, looking down. “I was branded.” He showed her the mark on his arm. “They tortured you?” Siri whispered. “How dare they!” She clenched her fists indignantly. Obi-Wan pulled the tunic on, somewhat fiercely. “It’s nothing, they’re only scars. It’s all in the past,” he said. “It’s been and done, and nothing can change it. What’s done is done. What’s gone is gone.” Siri frowned. “But it’s so unfair—so wrong!” she complained. “I have to release it, Siri,” Obi-Wan said softly. He buttoned up the shirt’s collar, again drawing the fair veil across the horrid realities that scarred his existence. “You think you can wash those scars off your back?” Siri snapped. Obi-Wan’s eyes were hard, cold. “You look rakish,” Siri joked. Obi-Wan frowned. “Did you just agree with me?” Siri gasped. Obi-Wan shot a mischievous grin at her. “From a certain point of view.” Siri frowned, trying to reach below the surface, wondering how everything could change like that in less than a moment. It took reason, rather than a probe… his mental shielding was good enough that he seemed to be Force-opaque. But he was multi-layered, and seemed to be able to think on so many levels at once that she was completely lost. By the time she reached this realization, Obi-Wan was already halfway down the stairs. “Well?” Obi-Wan asked. “What do you think?” He stepped off the lowest step, then turned around. Qui-Gon stood. “At least you don’t look like yourself,” he said. “And I don’t look like the Phantom of the Opera, either,” Obi-Wan added. “Absolutely,” Padme said. The three Jedi bowed and went out. As they passed through the streets, Siri noted, “You seem a little on edge.” Obi-Wan sighed. “It’s that obvious?” he said. Siri sighed. “I guess I’m just a bit… nervous,” Obi-Wan said thoughtfully, scuffing the toe of one boot as he walked. “About what?” Siri probed. Obi-Wan sighed. “About going before the Council, I think,” he said thoughtfully. “Why is that such a…” Siri began. “I’ve never gone before the Council before,” Obi-Wan admitted. “At least not assembled, and definitely not in person.” Siri raised her eyebrows. “Really?” she asked. Obi-Wan nodded, silently. Siri smiled. “Well, it’s not really anything to be worried about. Getting grilled with a bunch of questions and cross-questioned and completely intimidated by a certain bald Jedi Master is about the worst that can happen.” Obi-Wan sighed. The plains of Naboo have been described as gorgeous, and holopics of them on the travel agencies are known to make the city dwellers of Coruscant or Taris gape. However, no holopic or holovid can do true justice to the majestic, yet humble, world, whose name is spelled out in those five simple letters. The plains of Naboo are no less than breathtaking. Rolling hills spread for miles upon miles around, cloaked with deep, rich green, like a soft mantle of velvet. To the man or woman who has spent the entirety of their life cooped up in a city where green is only a dream, a flashback to a memory that is older than themselves, the effect is like a breath of fresh air after hours of being caught up in choking fog or smog. Something about those open plains speaks to the very heart of any person. On those breathtaking plains, in a small rift between two hills, the Jedi Council was gathered. As the three Jedi approached, then made their respectful bows, Obi-Wan could not help but think of Erin Kenobi, the famous outlander Jedi, coming supplicant before the Council in the years before Deriaka’s reign had begun. There was a famous picture, or had been—had it been found and burned, along with all other artistic references to the Jedi?—of that meeting. Obi-Wan listened in silence as his master outlined the report, then he repeated his own report, facing straight forward, trying hard to remain calm. The tension in his core wouldn’t let up, no matter how hard he tried to relax. As Obi-Wan completed his report, he released a slow breath he hadn’t realized he had been holding. Yoda smiled. “Done well, you have,” he said. Obi-Wan barely heard the next few words, almost giddy with relief. Siri delivered her master’s report, which was duly noted. The Council meeting was swiftly completed, and the gathering broke apart into informality. “Master Windu,” he greeted in return. Obi-Wan smiled quietly, to himself. Once he was away from Sidious, the rest was all fairly—almost ridiculously—easy. And this time, he knocked before entering. The cordon of guards would have been no challenge for a fully-trained Jedi Knight, and it wasn’t a challenge for a Padawan as experienced and well-versed in the arts of misdirection and deception as Obi-Wan, either. The streets were well-marked and unconfusing, and with Padme’s directions he quickly found his way toward her parents’ home. Theed was a beautiful city. The well-kept streets were bright and airy—no close alleyways—and the scrubbed pavement shone in the sun. Fountains on the corner of a street played and chuckled, and children splashed happily in their basins. “Are you sure this is the right way?” Siri asked for the umpteenth time. “Do you always ask this many questions?” Obi-Wan challenged in return. Siri closed her mouth and dropped her head. “Sorry. It’s just that—well, all these streets look alike to me.” Obi-Wan’s eyes softened. “Sorry. I shouldn’t have snapped at you like that,” he said. “Yes, I do know where we’re going. At least it’s not like Coruscant, where we might get turned around and end up in some seedy, one-way-street district. Oh, here we are. First left after the Bejer Plaza fountain.” Confidently, Obi-Wan climbed the steps up to the neat, bright little row house in the old town section. He knocked briskly at the door. A young woman who looked rather older than Padme opened the door a crack. “Yes?” she asked. Obi-Wan made a quick bow. “I’m Obi-Wan Kenobi. I’m expected?” Instantly, the woman’s suspicious demeanor changed. She smiled briskly and opened the door wide. “Welcome! Come in. Come in!” As they passed through the door, Obi-Wan nodded to Siri. “This is my fellow Jedi Padawan, Siri Tachi.” The woman nodded to Siri, smiling. “I’m Sola Naberrie, Padme’s older sister. Everyone’s in here…” She led them into a bright room, airy, open, with windows that opened on a sunny garden. Padme sprang to her feet with a glad cry. “I’m so glad you got here safely!” she exclaimed. That started off a loud and complex hubbub. “I’m Siri Tachi,” Siri introduced herself in the midst of all the confused chatter. “These are my parents, Jobal and Ruwee Naberrie,” Padme introduced them. Obi-Wan made a graceful, respectful bow to them, then slipped off to one side toward the spot where Qui-Gon was standing, waiting for him. “Master,” he said, sotto voce. “Yes, mostly.” Obi-Wan bowed his head. Qui-Gon looked at him, frowning slightly in concern. “So,” Qui-Gon said thoughtfully, “you unintentionally slammed someone into a wall?” Obi-Wan dropped his head lower. “I don’t think this is serious,” Qui-Gon said, “if you had no prior intention of harming her. It only means we need to go through your control exercises again.” Taking Obi-Wan’s shoulder, he helped the young man stand up. “All right,” Sola said sternly over the chatter in the room, “this meeting will hereby come to order.” She pounded with her fist on the side table, in lieu of a gavel. Keeping a straight face, Ruwee answered, “Yes. She’d a holy terror of a public servant if she decided to go into politics like her little sister.” Sola scowled darkly at them. Obi-Wan looked innocent, then changed his expression to contrite. Satisfied, Sola smiled. “Thank you for aiding our daughter and keeping her safe,” Jobal said. Obi-Wan bowed his head slightly. “We are here to serve,” he said, sotto voce. “What about the political plans?” Sola asked. “Padme mentioned them, but didn’t say what they were.” Obi-Wan looked at Padme, who blushed. He sighed and shook his head. “Sio Bibble might. He’s the governor,” Padme said. Ruwee frowned. “She was popularly elected,” Obi-Wan said. “And this speech will most likely go on the Holonet. Millions of people will see it. If the Queen were to disappear again, there would be even higher suspicions, and all of Naboo might rise up and protest, and be joined by other people on other worlds. Sidious views this as a small matter—Naboo isn’t that important, even though it is his homeworld—and won’t want to run the risk of you blackmailing him for kidnapping the Queen-elect—doubtless Padme has told you the whole story by now. Spread it to a few who you can trust, but no further. That way you will have leverage against Sidious. He’s too intelligent not to recognize the fact.” Obi-Wan looked down. “I’ve been thinking…” He passed a parchment to Qui-Gon. Qui-Gon quickly perused its contents and then looked at the Padawan, a smile perking on his lips. “You certainly do have an innate, and perhaps intolerable, love of drama, Obi-Wan,” he said. Obi-Wan blushed and hung his head. Qui-Gon laughed. “But in this case, I think that’s a good thing.” He passed the speech to Padme, who inspected it thoroughly. “You should go into politics, Master Jedi,” she said. Obi-Wan blanched, his face the picture of total horror. “Heaven forbid!” he gasped, almost as if the words were being jerked out of him. Siri nearly fell out of her chair laughing. “All right,” Qui-Gon said, joining in the burst of general laughter, “after that slight to the queen-elect’s avocation, I expect you to apologize, my very young Padawan.” Obi-Wan rose from his seat, face as red as a beet, and dropped to one knee in front of Padme. “I beg your forgiveness, your highness,” he said, still blushing. Padme placed her hand on his head, trying to ignore the impulse to mess with his thick auburn hair, in the traditional Naboo gesture of forgiveness. “I understand where you’re coming from,” she said, grinning. Obi-Wan regained his seat. “We’ve used paint before,” Qui-Gon noted. Thoughtfully, Jobal looked critically at Obi-Wan. “Thank you, Sola,” Ruwee said. Padme giggled. Ruwee shook his head at her. “Is this council of war over?” Jobal asked. “I think so,” Qui-Gon said. “It should be,” Obi-Wan added. “And I’ll go see about those clothes,” Sola said, leaving the room. Hello, everyone! Once again, I’m back, after dropping off the face of the ether. Sorry about that… we were processing apples from the orchard behind our house (which, sadly, does not belong to us… :’-( ) and making some into applesauce and some into apple butter and some into fruit leather, and then we were canning it, and then we were making clothes and costumes for Halloween, and all in all I was too busy to update, besides which I had no place to put my laptop, since there was sewing paraphenalia covering the dining room (which gets used for sewing much more frequently, by the way X-P) table, and canning paraphenalia on the kitchen table, and the lap desk is kind of cumbersome, besides which I hate using the mouse pad attached to my laptop… yeah… Sorry about that little rant. KRAYZEEEEEEEENESS. This chapter: Qui-Gon has a talk with Padme, Obi-Wan looses control and self-depreciates (seriously, what is it with his lack of self-esteem?! ), and memory takes a hold, linking the past to the present, and the future. The next moment, her face was the picture of shock. Apparently, she hadn’t intended to say that out loud. Qui-Gon burst out laughing. “I should hope not! Not all Jedi are alike, Miss Naberrie.” The young girl blushed. “I’m sorry, that was rude of me,” she backpedaled. Still smiling, Qui-Gon shook his head. “Brutally honest at times,” Qui-Gon affirmed. “Well, in that case, we’re three of a kind.” Qui-Gon laughed again. “What are the other Jedi like?” Padme asked. “You complement each other,” Padme said. Qui-Gon smiled. “You sound very certain of that, Miss Naberrie,” he said. “Of course!” Padme said eagerly. “I can just see Obi-Wan running off to get things done, hitting up all the villains, and finishing with a flourish, while you’re his ballast, the safe haven.” Qui-Gon smiled at how sure she sounded. And she was right. “I know it sounds crazy…” Padme said. “But yes, I think I did.” Qui-Gon smiled. “I don’t think it’s crazy. Often, that’s how Jedi tell where the others are.” Padme’s eyes widened. And some of us, Qui-Gon added mentally, are talented beyond belief. Qui-Gon moved through the corridors of the Imperial palace like a wraith, silent, with practiced ease and unremitting purpose. Suddenly, ahead of him, there was a startled gasp in front of him, and a very small person darted out before him, scuttling into the shadows beyond. On instinct, Qui-Gon leaped forward and grabbed the offending shape. Pulling the child back into the light, Qui-Gon found himself staring in honest surprise into the face of a three-year-old human boy with huge, frightened, blue-gray-green eyes. He was thin, too thin, not chubby like most children his age, and had thick, ruffled dark chestnut-auburn hair. Qui-Gon relaxed. The child shrank away from him, fearfully. Qui-Gon smiled reassuringly at the little boy. “It’s all right, don’t be afraid. I won’t hurt you.” Stars above, this child glowed like a beacon in the Force, a blaze of pure silver. An untrained, instinctive Force-probe came across his senses, and Qui-Gon almost laughed. He was being evaluated by an untrained three-year-old. Emerald and sapphire mingled in a captivating swirl in those perversely huge, expressive and completely adorable eyes. They studied him for another excruciatingly long moment, then the boy lowered his eyes and reached a decision, satisfied. “Lead on,” he said. Instantly, his small guide took off at a rattling pace that amazed Qui-Gon. Hastily, they made their way towards the slave quarters and into a room, bare, dilapidated, and sparsely furnished. It was unoccupied save for a figure that lay on its back, perfectly still, on the bed. The little boy hurried to the prone figure’s side. “Mama?” he said, in a broken whisper. The young woman moved, pushing herself up in bed. “Master!” she exclaimed, her clear sweet voice soft, weary. Qui-Gon walked forward, three long strides swallowing up the distance between them. “Well, at least,” Sharya breathed, “you were in time… for my son.” She grabbed the little boy’s hand and placed it in Qui-Gon’s. “Master, this is Obi-Wan. Please, don’t just leave him here. He must be trained as a Jedi.” Sharya leaned close. “Because he is the Chosen One.” There was no sharp inhalation of shock, no quick, excited searching of the Padawan’s face. Qui-Gon merely gripped the slender, white, six-fingered left hand in his. “You’re sure?” he asked, searching her eyes. Sharya blinked, then sighed, closing her eyes. “Are you going to take me away?” the boy asked, his huge sapphire eyes awash with tears. “I won’t leave Mama,” he whispered firmly. Qui-Gon smiled sadly. “She’ll be with me?” the little boy whispered. Qui-Gon smiled again. “Master Jinn?” Padme’s voice broke through Qui-Gon’s reverie. He straightened up. “I was…” she looked away, unable to finish. “He informed me of his plan,” Qui-Gon said. “Go on. “Well, it’s just that…” Padme shrugged. “I wasn’t sure about the political dynamics of this, is all.” Qui-Gon laughed softly. Siri came looking for him. Or rather, she was about to, when the doors to the cargo bay slid open and two of the Red Guards dragged him in and flung his inert form on the ground. Siri, who had dived into hiding behind the boxes of supplies the instant she heard them outside the door, slipped out of her hiding place the moment she was sure they were gone, and rushed to Obi-Wan’s side. Hurriedly, she checked his pulse. It was even and steady, and his breathing seemed fairly strong. He was completely unconscious, however. Siri gently turned him over, then brushed his wayward shoulder-length ginger hair out of his face. Oblivious to the world around him, he looked so innocent, so much younger than he really was. However, there was a subtle twist of the lips that spoke of suppressed pain. Siri looked down at him for what seemed like a long time. He was handsome, but the Sith tattoos that were spread across the left side of his face marred it somewhat. Siri felt toward him like she had felt to very few in her life. Almost protective, almost… something else. She didn’t dare to say what. Something had happened. At last, Siri took in a deep breath, then grabbed his shoulder and began to shake him. “Hey. Wake up. Come on, Obi-Wan, you have to wake up” Even in sleep, Obi-Wan’s reaction was instantaneous. His hand snapped up, closing, vice-like, around her wrist, as his eyes opened sharply. He saw who it was who had aroused him, sighed, released her. “I’m sorry,” he said apologetically. “I didn’t mean to alarm or hurt you.” Siri gave a low sigh of almost relief. In the moments before he was fully awake, it was dangerous, perilous even. Survival instincts took precedence. Evidently, living all his life in the midst of the Sith had taught him harsh lessons. “Do you miss your mother?” Siri asked, on an impulse. Obi-Wan sighed. “What changed that?” Siri asked. “A woman called Shmi Skywalker, who was brought to the palace one day. With her kindness, she began to break down the chill around my heart. She was good enough to consider me as her own son. If there is anyone there who deserves to be free, it’s her. Her, her son Anakin, or one of the future Sith apprentices there.” Siri gave him a confused look. “No, they aren’t,” Obi-Wan argued. “Some of them aren’t really evil. They use the Dark Side, yes, but they have never been given the choice to use the Light. They are only doing what they’ve been taught. How can they do anything else, without someone to teach it?” He shook his head softly, falling into silence. Siri stared at him in awe, eyes widening in realization. “That’s why you stayed,” she said in a near-whisper. Obi-Wan dropped his head, thick auburn hair falling across his face, obscuring his expression. Siri was still staring. “You wanted to try.” Obi-Wan bowed his head, resting his forehead against his knees. “Better to redeem than to destroy,” he said, so softly that she could barely hear him. “We should never condemn those who fail in haste; we don’t know all their circumstances. We don’t really understand.” He shifted slightly, not raising his head. “It might be a good idea for me to pretend to be unconscious when the guards come back.” he said, half-wistfully. “It might,” Siri said slowly. She peered thoughtfully at him, sideways. “Do you ever rest?” Obi-Wan laughed ruefully. By the time the guards returned, the ship had made the odd jerk that signaled they were coming out of hyperspace. Obi-Wan had never liked the feeling of accelerating into hyperspace or leaving it much; for the first few seconds it felt as if he was being jerked abruptly through a ray shield, or was in an abruptly-dropped elevator, and the next few minutes his core temperature would fluctuate oddly—probably due to the sudden changes in the flow of the Force. Obi-Wan grabbed the long concealing cloak from the peg in the slave quarters as he was marched off. The guards shoved him into place behind the emperor and he dutifully followed the man down the ramp. But nothing was enough to stifle the spark of defiance thinly veiled behind a mask of diplomacy. Obi-Wan carried himself straight and tall, self-assured and confident, as if he was one of the delegation instead of Sidious’ slave. The welcoming committee was uninteresting, as was the extremely normal banquet that was to follow. Obi-Wan stood behind Palpatine’s chair, trying to keep from yawning with boredom. These visits were always the same; some rebellious, courageous souls sticking to the background, attending against their will; the others, obsequious, fawning Imperial sympathizers and sycophants of the crown, groveling before the throne of the Sith. Even simply making eye contact with anyone in the room would have been dangerous, more so for them than for him, since he was such a… favorite… with the Sith. If he made eye contact with a rebel, they might be executed. If he made eye contact with an Imperial, he might be beaten. It was simply easier not to take the risk, and so he kept his eyes downcast, but not without scanning the room thoroughly, without outwardly appearing to look, monitoring for potential allies and enemies, a habit he had learned by years of hard experience. Hard lessons had been taught him by years upon years of contending with the same enemy, and he would have been a fool indeed not to pay heed to them. Never let your guard down. Never leave an enemy in the room unwatched. He had learned his lessons well, as the Sith would one day know, to their cost. Despite the fact that his eyes were downcast, he noticed that a few—or rather, more than just a few—of Sidious’ syncophants were ogling him appreciatively. Obi-Wan inwardly felt a rush of revulsion. He hated being stared at. It was at times like this that Obi-Wan wished with all his heart that he had been born plain. Good looks served no practical purpose whatsoever; thought it was true that “handsome is as handsome does”, he would rather not have been seen—flaunted—in this flagrant way. Slavery was demeaning. Slaves had no rights. They were considered non-persons, un-persons, less than persons, to be used, and used up, and thrown away on a whim, by their masters. Once, when he was ten, Obi-Wan had been carrying a breakfast tray to an ageing Sith Lady; he had fallen and cut himself three times n pottery, ceramic, and glass shards, and once on the knife that had fallen from the tray. He had been given twenty lashes for nearly ruining his appearance, as if his other injuries had not been punishment enough for mere adolescent clumsiness. Obi-Wan wished he had been scarred across the face. Perhaps he might be left alone, then. He might not be classically handsome—his features were too angular to be classically handsome—but he still drew attention, and he hated that. After the formal greeting, with all its flowery speeches, during the duration of which no one ever actually said anything worth saying, there was the formal banquet. Of course. Politicians were capable of many things, but not originality. Oh, goodness no. Obi-Wan busied himself, by habit, monitoring the room the while. Two Bothans in the back corner—what exactly were they doing there? Other than making small talk, of course… A Nemoidian rapidly moving in the direction of being drunk to the nines. Oh wonderful, he was mixing his metaphors now. A Senatorial aide making love to another Senatorial aide. Naturally. People just had no decorum nowadays, though maybe his expectations were too high—the galaxy was ruled by the Sith, after all. Quinlan Vos wasn’t there, neither was the senator to whom Vos was an attaché. Pity, Obi-Wan thought. He truly enjoyed Vos’s company, no matter how much the Kiffar annoyed and/or embarrassed him. He was startled by someone suddenly putting their hand on his arm, pawing lewdly at him. Quicker than thought, he subconsciously sensed a lurid intention and a reflexive Force-push batted the offender away like a fly. The gaudily-dressed woman flew backward, her head smacking against the wall with a sickening crack. There was a shocked silence. The crystal serving tray slipped from Obi-Wan’s hands and shattered into millions of sparkling fragments on the floor. Someone hurried to the woman’s side, checking for a pulse, but Obi-Wan already knew the truth. A wave of revulsion swept through him. There wasn’t even outrage in Sidious’ eyes, merely cruel amusement. He laughed, clapping his hands three times, a vicious mockery of applause. Sidious laughed. Obi-Wan felt sick inside. “Well done, Korzu,” Sidious said, still laughing. Obi-Wan was still too much in shock to even make a scene. Slowly, people resumed eating as several other servitors whisked out, to sweep up the broken fragments of the tray, while a group of slaves carried out the woman’s body. Obi-Wan turned his face away from the debauchers. Sidious laughed again. “Your first kill! Isn’t it marvelous?” Obi-Wan fell to his knees and threw up, violently, though his stomach was all but empty. No more. He could not take any more of this. However this ended, he wanted out. Just away from Sidious, and the rest of the Sith. Even if it meant he had to die. 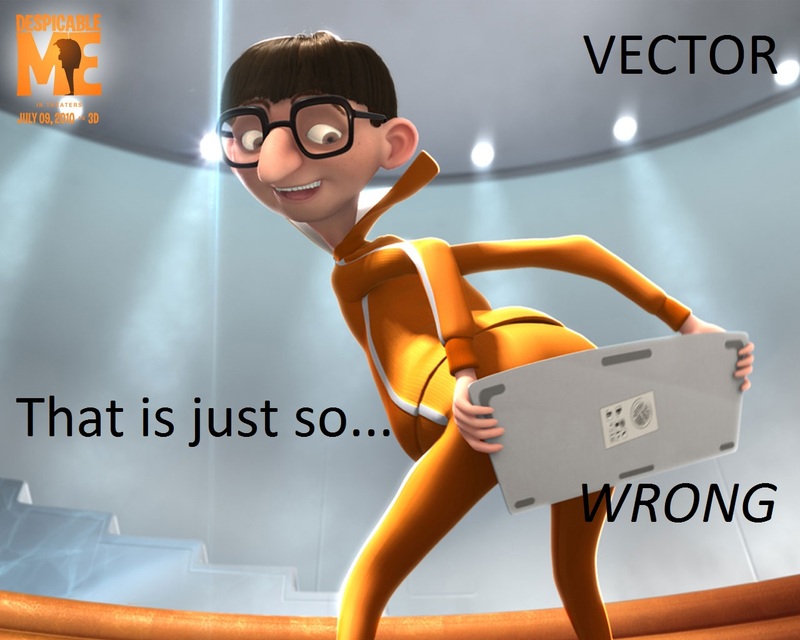 On Despicable Me. Well, this was random. This is just a piece of randomness that I decided to post, just because. 😉 It’s just one of these things that happen… Welcome to a day in the life of an author. T’karti closed her eyes against evening chill. It was cold, and she was far from home, and alone. She was a cast-off of society, forgotten. No one knew–no one even cared that she had been taken by cruel men, sold into slavery. No one cared. There would be no rescue. There was no hope. That was when she heard it. The voice, young, pure, resonant, clear as crystal, sweet and strong, childlike treble melting into youthful tenor. It was a fragile thing, only a little thing, yet it gave her hope. T’karti struggled forward in an attempt to push through the crowd of other downtrodden unfortunates. Something miraculous was happening. Even the most exhausted and broken of the slaves lifted up their heads, the first fingers of a hopeful future showing over the horizon. T’karti pushed past the others in the hopes of getting a glimpse of the singer. She was already in love with his voice. There was no fear, no pain, only golden light. There was hope. A whiplash silenced the song. T’karti froze. A moment’s dead silence. But then the last note still rang out in triumph. Jedi Padawan Obi-Wan Kenobi bit his lip against the searing lash that shot a white line of fire across his vision. He did not care. Hope was precious, but it was meant to be given away, and he might have just made someone, somewhere, a little happier. Second, the dress she wears during the whole scene with the suitors, the archery contest, and the witch. While completely GORGEOUS, this dress is not historically accurate! Sure, the pattern is, but the sizing isn’t. By the time that Constantine became Roman emperor and the world became Christian, there was such a thing as modesty standards– and though that dress covers every inch of skin, it’s too tight, far too revealing to make the cut. Thus, it’s inaccurate. Also, the general attitude of the movie is slightly off. Oh, don’t get me wrong, it’s a great story– but it’s not entirely accurate. Call it artistic license, but the BBC show Merlin is actually more accurate in attitude than Brave is! The Dark Ages are not quite so dark as some history books would have you believe. Look at Oop-Arts (Out Of Place Artifacts), for goodness’ sake! Merida learning to fight– that is historically accurate. Especially in the Highlands, the women of various Celtic races would learn to fight, and follow the men to war. They wouldn’t fight in the battles, but they would defend the camp if it was attacked. Also, the chatelaine of a castle would defend the castle if it came under siege while the lord of the castle was away. More than that, I love the idea of the “Wisps.” They are probably my favorite part of an enchanting movie. Instead of leading you to your doom (as in, a bottomless bog), they lead you to your fate? Awesome. And the idea of Mor-du, one person’s selfishness and greed unleashing a monster, is one of the best to come out of Pixar recently. The sets are nothing short of amazing, perhaps even better than How to Train Your Dragon‘s, and the animation is the best yet. I sat, mouth open in awe, at the detailing on leaves, grass, boards, moss. It wasn’t quite The Lord of the Rings, but it was nothing short of incredible. Off topic, but I think it’s obvious from my critique what kind of person I am… I’m a mercuric and mischievous sprite with an unexpected steely streak. And now, for a poem. This was inspired by some of the poetry of The Lord of the Rings and the Redwall books (by Brian Jacques. I highly suggest that you go to your library and read them!!!) as well as Brave. Enjoy! A monster is born from the selfishness of youth. The demon in bear’s shape, the great black Mor-du. After the bear took hold and the monster grew in him. All right, I admit it, I’m guilty. I’m guilty of wallowing in philosophical “stuff” and dark lullabies. Such as this one and this one. And, as always, my wallowing has results. So basically, this was supposed to be a “nightmare poem,” or at least that’s how it started out– just a jumble of words and dark imagery. But, I am a Christian (Roman Catholic to be precise 😉 ) and Christians are Just. Not. Pessimists! Instead, we believe in hope. 😉 And my innate hopefulness has come across into this poem, I think. So, instead of a poem about my twisted writer’s mentality, this is basically a poem about hope. Here in the darkness, where nothing can grow. And each rose bears ten thorns. The unwary find the thorns. The black and dreary smoke. All that was done and said. Hope rises from the dead. Itself and can not continue on. Even when all hope seemed gone. And, for the record… I think that the song “Safe and Sound” is the saddest one I’ve ever heard. Seriously, that lullaby is a tear-jerker rather than a lull-you-to-sleep melody. Because, after all, going to sleep is only a temporary solution. This chapter: Some dark flashbacks, mentions of torture, Sidious being… well, Sidious. And we finally get to find out more about Obi-Wan! Obi-Wan rose long before dawn, his innate time sense, part of him as deep and ancient as the Force itself, waking him at a good time. It wasn’t hard, after all. 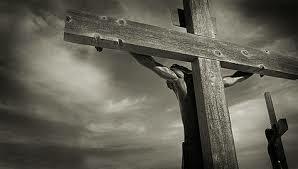 He could endure hunger, thirst, exhaustion, pain, all without flinching or complaining. He was used to this. He rarely got tired, or suffered because of a lack of sleep, or was debilitated by malnutrition, for some odd reason. The Force was sustenance enough, somehow. Quickly dressing, Obi-Wan went down to where Siri was hidden. She was already awake and ready, albeit somewhat sleepy-eyed. Obi-Wan checked her over quickly. “Come on. Shield yourself, and let me take the lead.” Obediently, the sleepy younger Padawan followed. Obi-Wan allowed himself a brief smile. They were making progress. “Oh,” Siri replied, somewhat subdued. Or just sleepy. It could be either one. They found their way to the landing platform without mishap. However, on the edge of it, Siri spotted the two guards and stopped. Obi-Wan shot her a half-exasperated glance and walked boldly forward. He waved his hand in front of the guards’ faces. They didn’t even stir, they just kept staring blankly ahead. Obi-Wan smiled briefly at his companion. “The Force can be a strong influence on the weak-minded,” he quoted impudently. Siri’s mouth dropped open. “They don’t even realize we’re here?” she gasped. Obi-Wan shook his head. Keeping the new shields firmly about her mind, Siri slid into a deep sleep. Sidious was almost surprised to see Kenobi waiting by the ship with the guards. However, true to form, he obviously hadn’t been able to simply submit to fate. One of the guards was holding him with his hands in a pair of stun cuffs behind his back. Sidious scowled angrily. “What was he up to this time?” The guard shrugged. “Some cheek about us going to be late if you didn’t hurry up, sir,” he said, keeping his eyes down and speaking dully, as if he had no choice but to say the truth and only hoped that he wouldn’t be killed for saying it. “Saucy son of a varmint can’t keep his mouth shut.” Sidious caressed the darkening bruise on his slave’s un-tattooed cheek, then slapped him, hard. The young man’s eyes steeled into determined gray, staring cold defiance back at his captor, as if to burn the memory of Sidious’ every feature from yellow eyes to cruel mouth onto his mind. Sidous wasn’t used to defiance. This display from young Kenobi fascinated—and troubled him. There was something unsettling, something vaguely disconcerting in Kenobi’s gaze, the wild, untamed gray eyes burning into him, as if to see through to his very soul, pregnant with a promise of whispering peril. But at the same time, the boy was fighting a fight beyond his strength, a futile exercise. He might be bright with potential, but he was untrained and untested. Fully trained, Kenobi might have been a formidable warrior, capable of besting the Dark Lord of the Sith. Perhaps, Kenobi was the only one capable of defeating Sidious. And yet, he couldn’t do it without training. It was almost a pity, Sidious mused, that someone so gifted would have to go untrained. And yet, the bitterness he felt every day in the young man was a sweet taste of revenge against everything Kenobi stood for. In this dark time, ironically enough, this untrained whelp was the only living reminder of the Jedi, the last son of an ancient tradition, spawned after its death, to live on in bitterness and pain in the darkening world with no chance of ever restoring his noble parentage to its rightful place. It was a sweet and intoxicating thing, Sidious mused, to feel the boy’s constant suffering and outrage. And so, he had let Kenobi live, but what an existence… slowly squeezing the life out of him, feeding off of his pain and mental torment, the Dark’s taunt at the staid, stagnant Light, whose servant was being slowly bled out on the sacrificial altar of the Sith and of his own choice. It was one way of trampling the memory of the Jedi, and Sidious intended to trample. This boy, disgustingly noble and spirited as he might be, was only a means to an end, a symbol, dying for what he stood for. Kenobi meant nothing; what he might have been was everything. “Take him on board,” Sidious snapped, and then walked forward. He heard a gasp of pain from behind him. He didn’t bother to look back. A hitch in the tight breathing, a stoop in the proud shoulders. A whisper of agony echoed in the Force, then there was silence. Kenobi served breakfast with his usual panache; in short, icy silence. Sidious toyed with the idea of baiting him for a moment, then almost decided against it, then decided in favor. He looked up. “I suppose the white knight is champing at the bit at the moment,” he said. Silence. An almost imperceptible twist in the corner of the mouth. Kenobi stared straight forward, face unreadable. “His lovely lady fair is trapped in the dark tower, and he can not go riding out to save her. Oh no, he’s chained down himself, and about to watch the coronation of the usurper of her throne. What will happen to the sweet damsel in distress, I wonder?” Still no response. Sidious’ icy fingers clawed around the young man’s shoulder, forcing him down. “And what will the brave knight do when he sees her execution in secret and is helpless to stop it?” Horror spiked through the Force. The young man’s eyes snapped with a dangerous glint. “Monster!” his voice snapped, taut like a whip. And then it failed him completely, and the young man turned and rushed from the room. Sharya. Sharya. Mother. Beloved mother. Pure-hearted woman and strong comrade, ultimately destroyed by the evil that was the Sith. Obi-Wan’s hand went to the pendant that he still wore, under his tunic. He barely remembered his birth mother. He was an orphan, and the small, white gem was the only connection he had left to his family. The day after she died, Obi-Wan had been dragged from her room in the palace, sordid and small and completely unworthy of her, forced to his knees in front of Sidious. And there, he had left childhood behind. Obi-Wan closed his eyes against the memories. The scar under his ribs from the ceremonial blading burned like fire, a phantasmal pain that wasn’t really there. That was the first time. Obi-Wan forced the memories away. He couldn’t—wouldn’t—think of that now. Obi-Wan had been born with the ability to see the future and past as if they were happening at that moment, but he had espoused with whole-hearted abandon his mentor’s mantra to live in the moment. He might look forward, but only for practical purposes, and only when it was necessary. He had to live in the moment. The past was too painful; the future, too dark. Only in the moment could he put aside the pain. He focused on the Living Force, reaching out to all the corners of the universe. Joy. It was someone’s birthday. Sorrow. The anniversary of a death. Pain. A mother was giving birth. Hope. A child was becoming a man. Light. The other Jedi speckled the surrounding nothingness, like blazing stars. They were all one, they were all united. Obi-Wan opened his eyes, re-centered. It was moments like these that gave him hope, the strength to go on fighting. He was satisfied in the knowledge of having something worth fighting for. Quietly, he went back to Siri’s hiding place. Siri looked up at her… host? as he entered. The thought was somewhat amusing, but he was. He was offering her the best he could, and if that wasn’t all a cup of tea at least it was something better. “We’re en route now,” he informed her, sliding to the ground as if exhausted. Siri couldn’t help but frown in confusion at the resonances in the Force. He wasn’t so much of a presence or entity as a brightening in the undercurrents. He felt oddly vacant in the Force, as if he were not really there—and yet there was the Force-presence, but it did not quite resonate as his. It was as if he was sealed off, blocked from her in some way. Siri frowned thoughtfully. She had an odd memory of his real Force-presence, detached from her other memories, not fitting into the time line, adrift, singular. Finally, Siri plucked up her courage and made the decision to ask her question. “You can ask,” he replied noncommittally. Siri shook her head. “Wise young lady,” he said sardonically. Siri huffed, but continued, determined to get an answer. “I’ve been drawing on non-stop it for years, I don’t see why that would be strange,” Obi-Wan remarked. “And then, there was a moment when you had just left the ship. All of a sudden, it felt like I had more energy and I suddenly realized I’d been inexplicably tired and drained up until that moment…” Obi-Wan blushed. “It’s a long, long way to Naboo,” Siri informed him. Obi-Wan sighed. “Isn’t it one of the most valuable minerals in the galaxy?” Siri asked. Obi-Wan nodded. “And rendered even more rare and valuable by the fact that it is so dangerous to obtain. It’s found in only a few places, and it carries an electrical charge, neither positive nor negative, but neutral. It makes most types of electronics go dead—the theory is that it creates an anti-magnetic field strong enough to stop electricity from cycling normally. Of course, this is all quantum physics…” Seeing the glassy-eyed look in Siri’s eyes, he took the hint. “Like other electronics, the transmitter deactivates if it comes into too-close proximity with ionite. And once it’s offline, it’s easy to bring it back on with a simple use of the Force. I can’t deactivate it using the Force—it only reacts to the Dark Side for that—but I can use the Light to bring it back on. It’s odd little quirks like that that bring down empires, my friend.” Siri watched him, looking at those odd, changing eyes, now stormy gray like the sea of her homeworld. “You really have thought everything through, haven’t you?” she asked rhetorically. His solemn gray gaze did not waver. “Completely. No stone goes unturned.” He fell silent, turning away for a long moment. He sat down on another pile of boxes. “Do you think there will be… fighting?” Siri asked. Obi-Wan took in a deep breath. “I hope not. There shouldn’t be, if everything goes as planned.” Another long pause. “You’re a prince?” Siri asked, shocked. Obi-Wan whirled on her, his eyes gleaming with a terrible fire. “Still…” Siri said. She hesitated again. “Why didn’t you ever… leave? You said yourself that you could have.” Obi-Wan sighed. “No, not exactly. It was my decision in the end… And I have never been able to quite say why I stayed.” There was a deep regret in that. “In the course of your missions, have you… well, what I mean to say is… have you ever… ever taken a life?” This time, the beat was so long that Siri wondered if he had gone to sleep. Then, a soft, almost incomprehensible word. There was such pain in that single word that Siri looked up sharply. Obi-Wan had risen to his feet, and she could only see him in profile. His face was impassive and cold and proud, and for a moment she could only see the self-disinherited prince. Then he turned toward her and that guise all melted away. Suddenly, Siri realized that the reason why his eyes were so unusual, so changeable, was because they were so ancient. Even Master Yoda, who had lived for centuries, did not have eyes quite like this. It was almost as if he was seeing through all the various eyes of the very Force itself. “I have killed. Never by choice, but all too often, all the same. Wherever I go, I leave behind death. People die for me, I kill those who might kill me, and I never requite it. Horrible, isn’t it? I’m a monster, a monster wearing a fair guise. How many times have I actually saved lives? Not enough, never enough. I’m a murderer.” Siri’s jaw dropped, horrified. “That’s guilt talking, not you.” she said. “No real murderer would feel guilt for what they’ve done. Or what they haven’t done.” She fixed him with a stern look. “I don’t believe you’re a monster. You may have Deriaka’s blood, but you aren’t Deriaka.” Obi-Wan sat down, his head in his hands. “Well, at least I got to meet you,” Siri said. “I’m glad to have known you, Obi-Wan Kenobi.” Obi-Wan sighed. “We have several hours until we get to Naboo,” he said, “and I’ll expect you to spend at least some of it sleeping. I have to attend Sidious…” he made a slight face at that. “After we land, though, I want you to wait until I come for you. I’ll have to accompany Sidious to the palace, then slip away and come back here to pick you up. We’ll head out to meet my Master, and you’ll be a free woman.” He spoke without a quiver of his voice or a single movement to indicate any emotion, but his eyes paled a shade, flickering sadly. The deep self-control he had over himself was not enough to control his eyes. It was deeper, more sincere. And all in all, it made him more dangerous. Obi-Wan made a quiet, graceful bow and exited. Siri sighed. She wished that he wasn’t so insanely confusing.